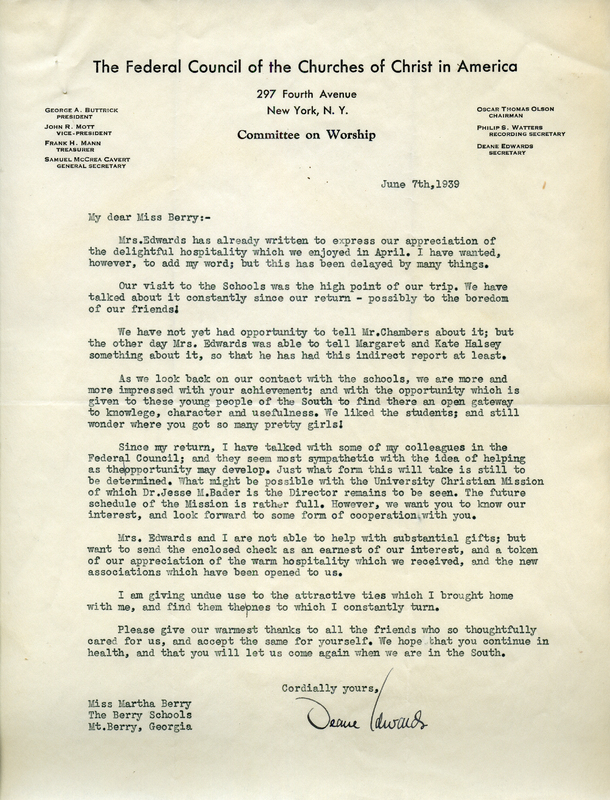 Mr. Edwards, “Letter to Martha Berry From The Federal Council of the Churches of Christ in America.” Martha Berry Digital Archive. Eds. Schlitz, Stephanie A., Savannah Harris, Jessica Hornbuckle, et al. Mount Berry: Berry College, 2016. accessed April 26, 2019, https://mbda.berry.edu/items/show/14731.